At a time before collapsible hoops, every time I would pack for a journey, whether it was to fly halfway around the world, hike up a Colorado mountain trail, or run down to a secluded beach, the two things most important for me to grab were... my poi and my music. Poi-dancing was an instant portal to a flow space that became my sanctuary, a way to reconnect with my body, to the wisdom within, and a path to learning new ways of moving, thinking and being in the world. Eventually, I answered to a deep and playful calling to create a new line of poi, Soul Flow Poi, designed with the goddess and the sacred feminine in mind. Today, my poi go everywhere my hoops go, and a few places my hoops still don't go. Including both the hoop and poi in my flow practice cultivates an even deeper level of harmony, balance, and expanded possibility! Playing & dancing with poi is a "Flow Art" - learn about the Benefits and some of the Science of the Flow Arts here. Be sure to take a look at this Special Edition Soul Flow Bali Poi . . . .
EVERY PURCHASE MAKES A DIFFERENCE! We are proud to share that a minimum of 10% of the proceeds from every poi sale is donated to a cause or an organization that makes a difference in the world. In the past, we've chosen GIVE BACK YOGA and VEGAN OUTREACH as the recipients. In 2018, as you saw in the video above, we've chosen to support Robin Lim and her work at BUMI SEHAT FOUNDATION. In addition, due to the earthquake and tsunami disasters in Indonesian this year, we’ve also given to Project Karma and will be donating to the IDEP Foundation. 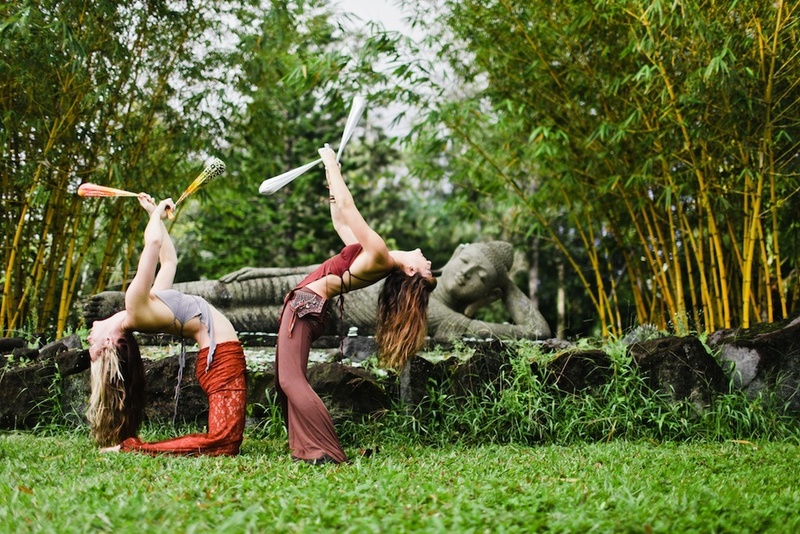 Come to our upcoming Beauty that Transforms - Bali 2019 retreat to expand that portal of transformation, healing and joy within yourself and with others . . . . and bring your Soul Flow Poi! Want to start learning the basics of soul flow poi and twin hoops from the comfort of your own home? Access the 1st 4 lessons of Aloha Series (shot entirely in Hawai'i) here!